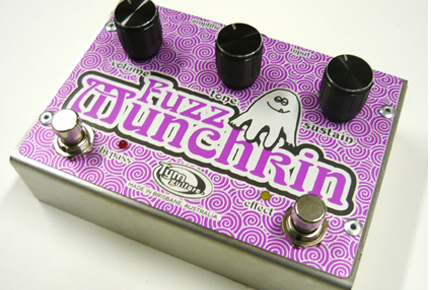 The looooooong evolution of the art design for the awesome new Tym Guitars Fuzz Munchkin. 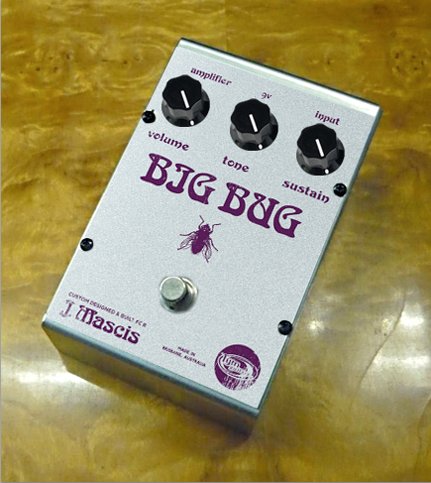 If you are a fan at all of Dinosaur Jr, you’d know that Tym Guitars has recently released an exact replica of J Mascis’s infamous ‘#2′ Rams Head Big Muff. 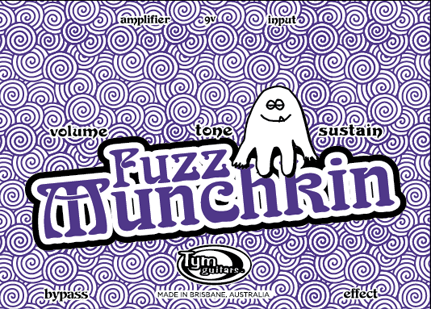 Tim has explained the process of creating this masterpiece in detail on his blog (check it out here) so I thought I’d write about the long process on getting the Fuzz Munchkin looking the way it does. The whole story started back in mid 2009. 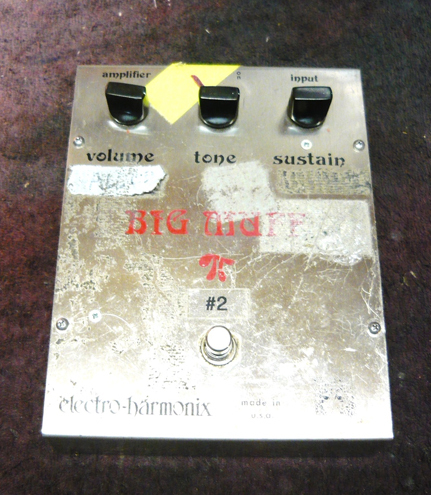 Dinosaur Jr were in town and J had dropped off his favourite Big Muff pedal at Tym’s to get fixed. Soon after, Tim contacted me and said that J is interested in making an official Tym Guitars version of the pedal and would I like to do the art? I was a bit nervous and excited. This wasn’t going to be like designing any regular guitar pedal… this was going to be for a pretty damn famous musician who has some very fanatical fans. 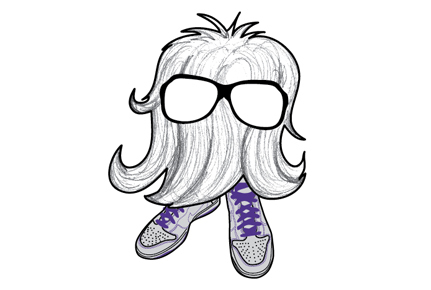 Most J Mascis fans are Big Muff experts… so it had to be really, really good. 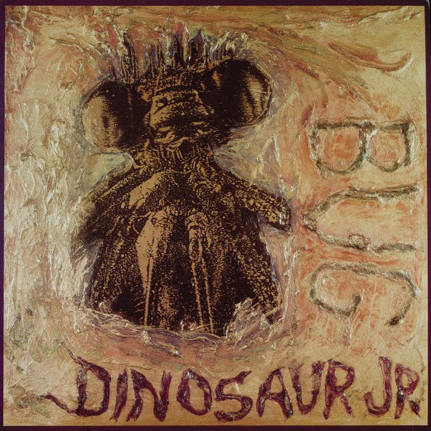 It was a very scratchy, grungy looking album cover, very much in the style of time time it was released. 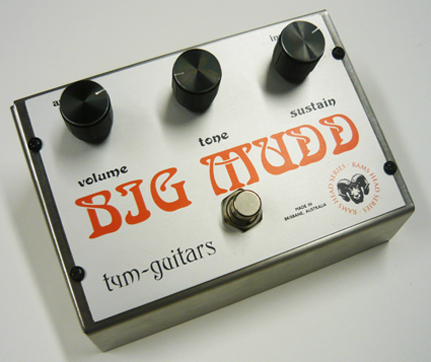 I thought it might be cool for the pedal to look as rough and crusty as J’s Big Muff, so I tried putting a mockup together to see what it would look like as it helps me to see what the actual finished product looks like.I based it initially on the Tym Big Mudd pedal that I’d just designed with some hand drawn text & scratchy effects. And of course it had to be purple. Next up I did some more research & thinking. If it was based on J’s #2, it should look like his pedal. 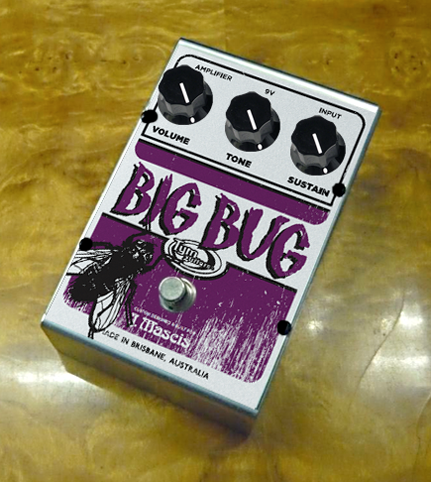 Of course he had to be wearing J’s signature purple & silver Nikes… so I put him on a pedal mockup to see how he’d fit. I wanted the background to have a pattern, but I wasn’t sure what yet. I tried a leather look, like the vinyl material EHX pedals had on the back and sides of their 70′s pedals. That didn’t really float my boat. It looked a little 80′s hair metal. So I thought, maybe the peal itself should look fuzzy, like it was made of wool or something. I did up a curly hair/wool pattern and tried that… I also added the proper Big Muff typefaces. It looked a lot better. Tim really liked it. J wasn’t so sure. He mentioned that he wanted an elf with a beard. I think I knew what he had in mind… a woodcut/etching version of a garden gnome would look awesome. Something out of an old kids book from the 1920′s. So for the next 6 months I scoured every vintage bookshop I could find, looking for a kids book with a woodcut style elf. I’m not kidding… 6 months. And I found nothing. Nadda. Zip. I found one book that sort of had something that might work, but the lady wanted $60 for it, so I declined. Finally, I asked an artist friend of mine Celeste if she could come up with a drawing that might work. 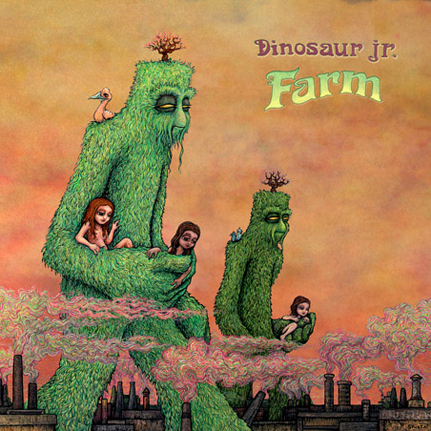 Her design was very cute, and very in keeping with the illustration on the ‘Farm’ album cover. But still J wasn’t totally happy… he wanted an elf! So for the next 4 months, I kept looking. By now, it had been nearly a year of looking for elves in my spare time. 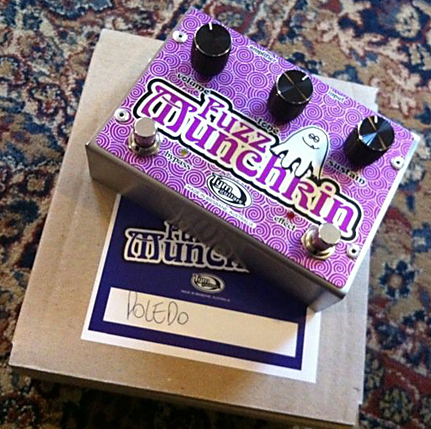 Again, the pedal was still being prototyped so there wasn’t any rush… I looked for elves whenever I had a spare afternoon on the weekend. But still nothing suitable came up. I burst out laughing. It certainly was very ‘J’. Tim & I noticed there was no beard, he wasn’t fuzzy and he certainly wasn’t a gnome. I never had a chance! Instead of me basing a new character on this little guy, I thought it’d be cool if J’s actual sketch was used on the pedal. As the lines of J’s sketch were a little too thin to use, I traced over it and put it on the pedal layout. Straight away I could see it was perfect. This now looked like J’s pedal. 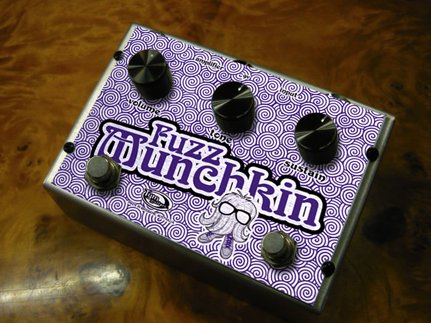 The only change I made was to straighten up the Fuzz Munchkin text, as the ‘M’ was going to get covered by the bypass switch. I also had to put white outlines on the graphics because with this printing process none of the colours can touch. So after nearly 2 years work (on & off)… we were there. I’m very proud of the design of this pedal. Tim is a fantastic guy to do design for… he lets me go nuts with ideas, so it’s a great release from the usual stuff I do. When Tim released the first batch for sale onto his website, I watched as they sold out in 45 minutes. It was amazing, funny and a little scary. But all that matters is I bought mine, and she’s getting good use. this is awesome! 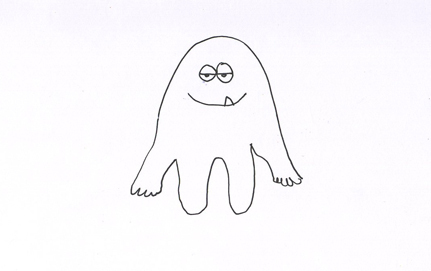 Do you have any kind of design blog or something? Awesome Tony! I heard all about this process as it was happening but so good to see the various versions. For nerd’s sake. Also I really liked the Big Bug with the fly instead of the Pi, awesome! Cool! Having been a follower of Tim’s blogs about this, it’s great to hear another aspect of the story. Good one! MY MIND IS ON THE WALL CUZ IT JUST GOT BLOWN!!!! Wow, what an interesting story and what a nice design! Part of my job is also graphic design and people usually never see the process that has lead to the end result. Great to read and see all these different steps, Tony. Thanks for sharing this and well done!! 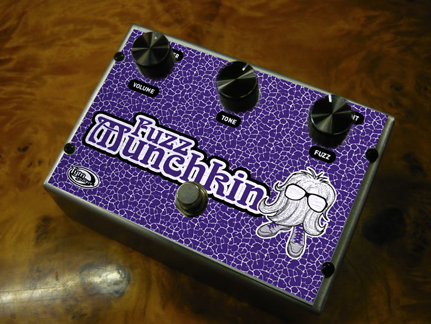 I have enough pedals, otherwise I would have ordered this great looking fuzz! Great story! I can’t believe the whole process took this long, but totally worth it, I’m sure. Your designs are excellent. Wow what a fantastic progression. Nice work.